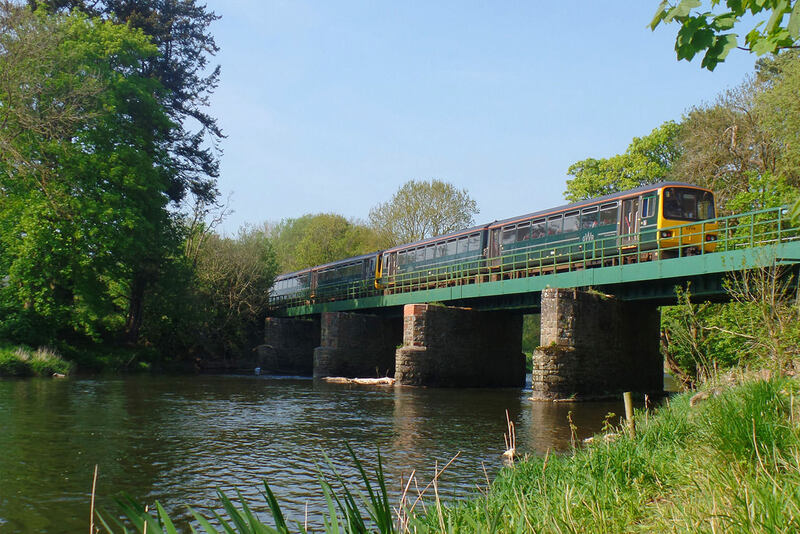 One of Britain’s most scenic railways, the Tarka Line runs for 39 miles between Exeter and Barnstaple, following the gentle river valleys of the Yeo and Taw. The line has linked North and South Devon since 1854. It is an ideal and picturesque way to visit Barnstaple, capital of North Devon or to reach the great cathedral city of Exeter. 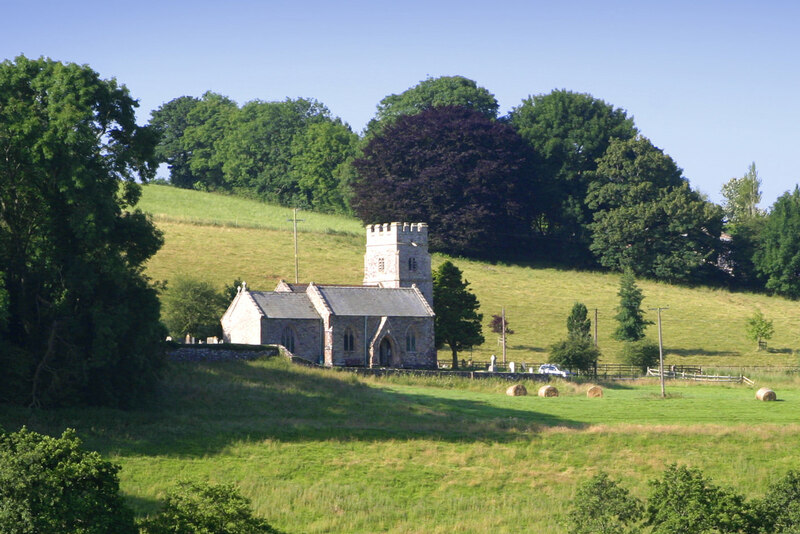 Stop off to explore the historic market town of Crediton and rural Eggesford, where the first state forest was planted in 1919. Once in Barnstaple, the beautiful North Devon coast is a simple bus ride away and the famous Tarka Trail cycle and footpath starts at Barnstaple station (where you can hire a bike). 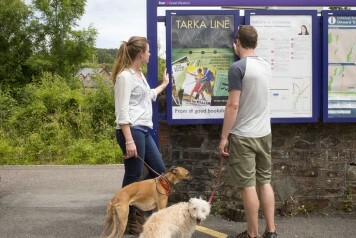 The line is great walking territory and the book Tarka Line Walks has 60 walks from stations to explore. The line also has its own voluntary organisation, The Tarka Rail Association, to support and further the interests of rail users. 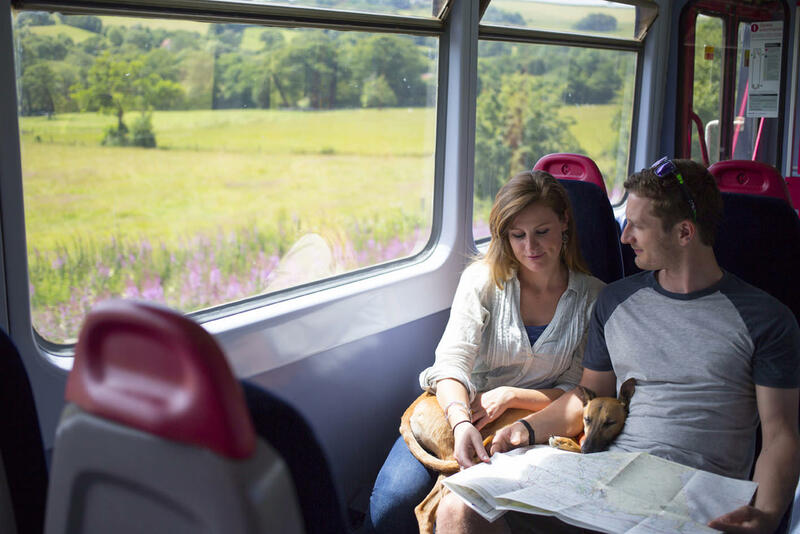 Plan your trip with our journey planner, or download the Tarka Line timetable. 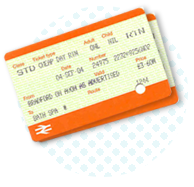 Trains run regularly throughout the day, seven days a week, all year round. It takes approximately an hour and a quarter to travel the line between Exeter and Barnstaple or vice versa. 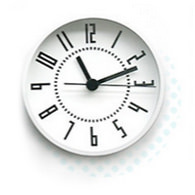 Look up train times with our journey planner, or download the Tarka Line timetable. The capital of North Devon, Barnstaple is a bustling market town with a beautiful setting on the estuary of the River Taw. The large town centre is a short walk from the railway station and offers a mix of picturesque narrow streets with independent shops, cafes and restaurants, as well as Green Lanes shopping centre, full of high street brands. 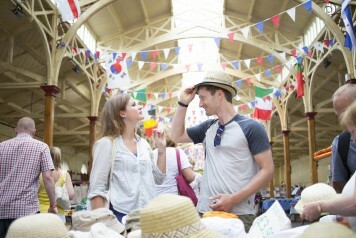 Crediton is a lively market town that benefits from a thriving high street full of independent shops. The town is a short walk from the station but it is well worth the trip. The town boasts a plethora of shops including crafts, gifts, antiques, delicatessens, and local food shops. 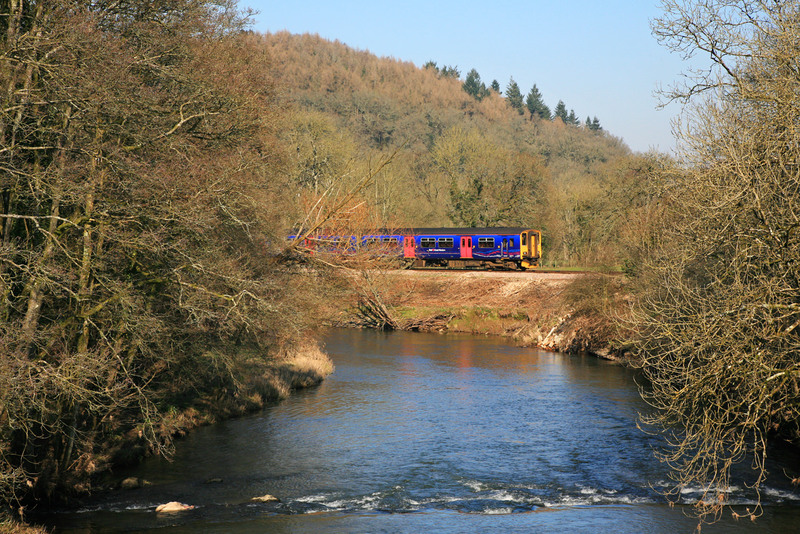 With a nearby Country House Hotel a garden centre to peruse and plenty of country walks, Eggesford is worth breaking your journey for. Eggesford station is a very tranquil spot, exit right out of the station and you will see the Church on the top of the hill. 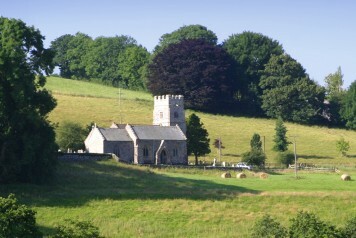 Head this way to not only visit the church but also Eggesford Garden Centre which has a restaurant and regular events. Barnstaple station is the starting point for the Tarka Trail which offers up to 21 miles of scenic, level, traffic-free cycling. 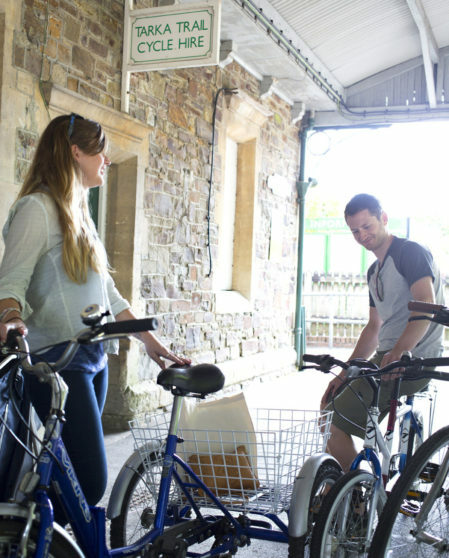 Hire a bike from right next to Barnstaple station, and then cycle from Barnstaple along the estuary to Instow, Bideford, Torrington or beyond from 12 miles to 40 miles. 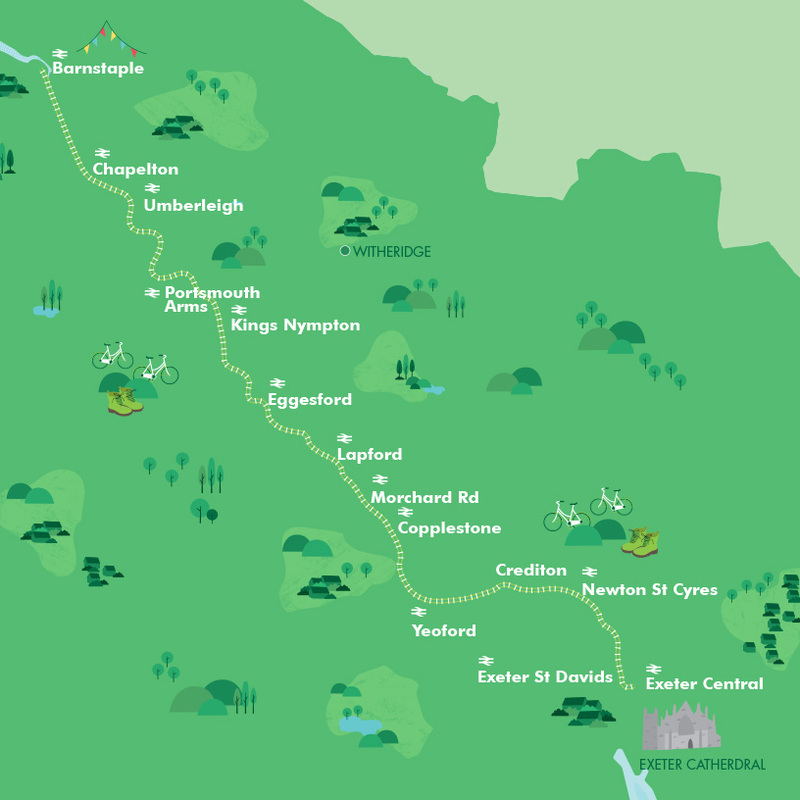 The beautiful South West Coast Path is within easy reach of Barnstaple station. Information boards offer walks from the station which vary in difficulty and length, depending on how energetic you are feeling! There are also plenty of buses to take you out to the coast. Stagecoach buses 21 and 21a, for example, link Barnstaple with Ilfracombe and Westward Ho!. Get the bus timetable. Ilfracombe is a traditional seaside town dating mostly from the 19th century. The town centre is full of old fashioned charm, a variety of independent shops and a number of beaches accessible from the town centre, the most famous being Tunnels Beaches. Off-Peak Day Return. Valid after the morning peak and anytime weekends or Bank Holidays.